Jeff Galloway spoke at the Disney Wine & Dine Half Marathon Meet-Up this morning and ran IN JEANS. 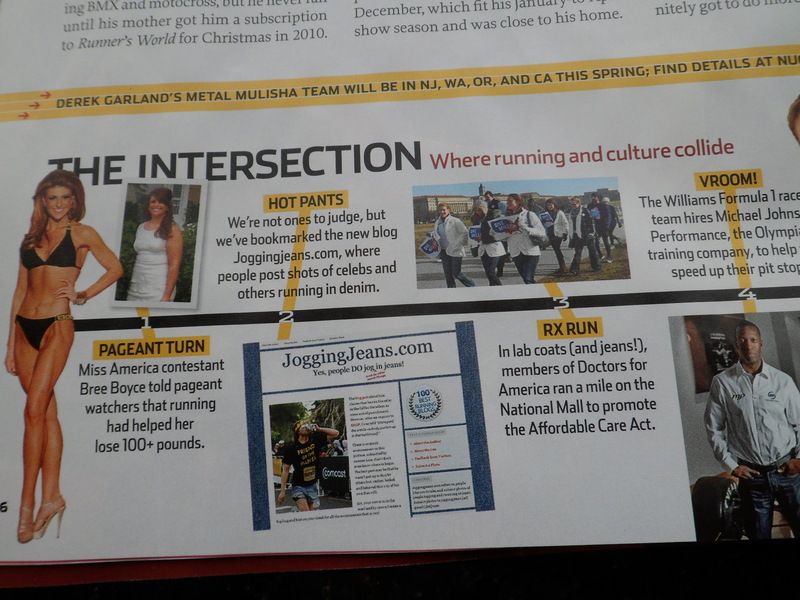 Can you imagine a BETTER jogging in jeans endorsement? 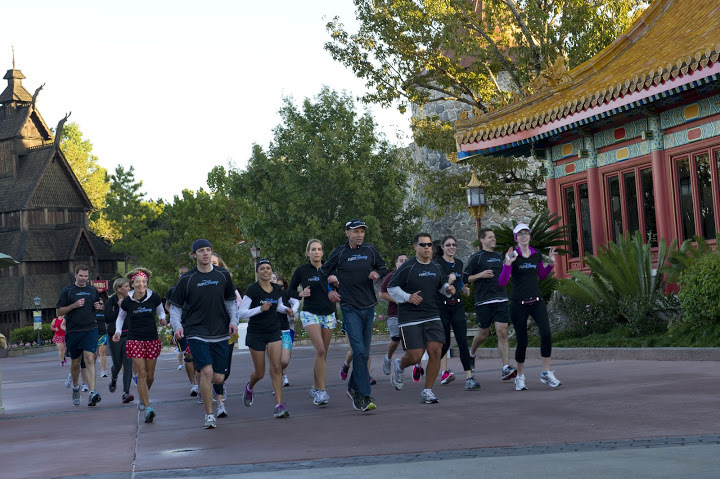 And after a call for action shots, Liz (and RunDisney) came through for me [that’s Liz in the white and blue shorts]! (MAJOR thanks to Rainbow Bright Anne for letting me know about this colossal happening! ).